Scallywags is open six days in its three stores, in Claremorris, Co Mayo, Tuam, and Barna. 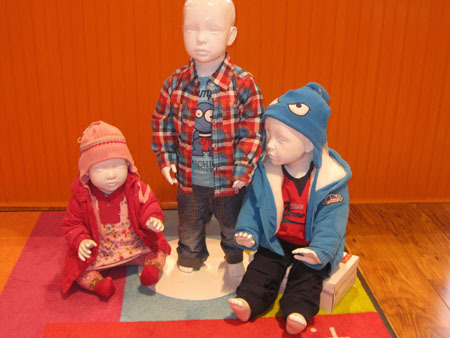 Catering for newborns to pre-teens, Scallywags now stocks a range of other brands including Ben Sherman and Pampolina, with accessories and jewellery for older children and a selection of christening outfits. Scallywags is the perfect stop for parents, partygoers, newborn gifts, or a gift voucher for someone special. If you require a specific outfit in a specific size, Norrie Coen can source this from any of her three stores, and can have the product for you the next day. The Scallywags Christmas club is now up and running and deposits are being taken. To contact Scallywags — located across from SuperValu in Barna — telephone (091 ) 867496; the Scallywags shop in High Street, Tuam, can be contacted at (093 ) 26010, and the shop in James Street, Claremorris, at (094 ) 9362199.